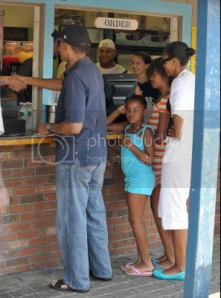 Today, the official Crocs blog posted that First Lady Michelle Obama wore turquoise Crocs Malindi Flats on the First Family’s recent vacation to Martha’s Vineyard. Sure to be hot seller, order your Malindi Crocs to be shipped today from ShoeBuy.com, $29.95 with free shipping! Also available in Black, Cotton Candy, Mango and Pulse.